Cashalo, the Filipino fintech company committed to accelerating financial inclusion for all, today announced the launch of Cashacart, the Philippines’ first-ever, O2O (offline to online) basket financing solution. 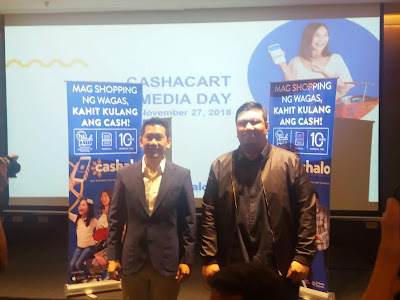 Cashacart is a consumer finance product designed to give every Filipino the freedom to enjoy the lifestyle they want while having peace of mind. It enables consumers to access a digital credit line in a few minutes – allowing them to purchase multiple products that they need (electronics, appliances, household items, etc) across a growing network of 250 retail partners - which include Robinsons Appliances, Robinsons Department stores, Handyman, Oppo, Cherry Mobile, and Memoxpress. Cashalo’s purpose-driven mission is to unlock financial freedom and opportunity for every Juan. Unlike traditional consumer financing solutions that are restrictive, Cashacart gives consumers the freedom and flexibility to purchase multiple products that they need whether it be appliances, electronics, household items, apparel, or school supplies and choose from a variety of payment options.